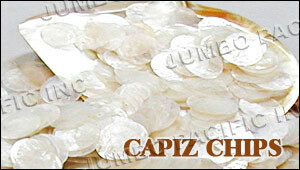 Capiz shells is a whitish, translucent shell of the Philippines, commonly used in fashion capiz shells jewelries, fashion capiz accessories, capiz lampshades, capiz shell tiles and capiz shell panels. 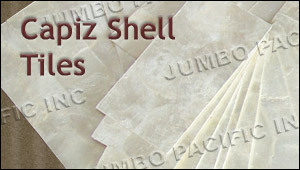 Mostly, foreign businessman, citizens are the common buyers of our capiz shells products. They’re much fanatic of capiz products than the local citizens. Capiz shells bring ornament to our home and to ourselves. It gives lights, beauty, sounds, pleasure, decorations and accessory as well. Capiz shells are carefully cleaned and processed to make beautiful capiz tiles, wall panels and capiz chips for the chandeliers. 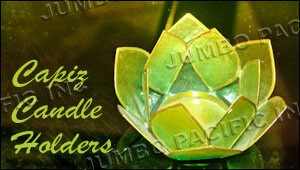 Capiz products are uniquely handmade by our talented designers. 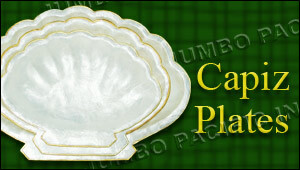 We have plenty of capiz shells made products to offers. 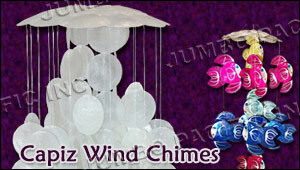 This includes capiz shell tiles, capiz shell panels, capiz lamps, capiz chandeliers, capiz necklaces, capiz pendants, capiz candle holder, capiz wind chimes, capiz plates, capiz chips and capiz lampshade collections. 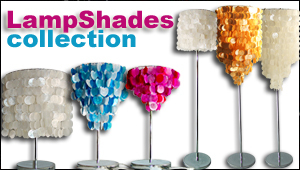 Capiz products perfectly designed to your home and offices to bring beauty and elegant view. 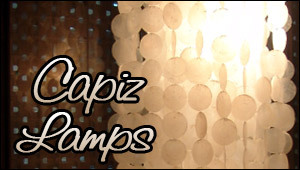 All capiz products are distinct compared to other expensive similar capiz products. 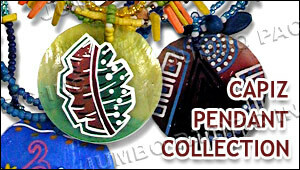 Aside from its cost-effective price, it’s our legacy to offer you a product with high quality. Our designs are unique hand crafted by our talented product designers. 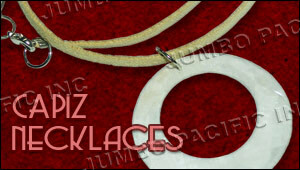 We also create and manufacture products depending on your preferences and designs.